Destined for dance, theatre and performing artists, these workshops offer an immersion into the universe of a Festival artist, a glimpse of his or her artistic approach and creative tools. This year there are two different kind of them. 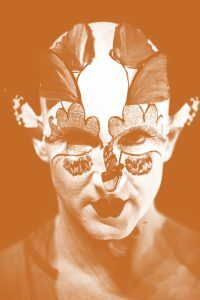 The first is a performance workshop with the South African performance artist Steven Cohen, and the second a lecture-demonstration with the Polish director Anna Karasińska. They are open to choreographers, directors, performers and designers from all across Quebec, and encourage a blending of disciplines in a spirit of exchange and aspiration. For Steven Cohen the body is a mobile stage, a place for construction and experience. In this 3-day workshop, participants create their own performative object, working with breathing, movement, time and light. Steven Cohen’s approach involves a redefinition of the familiar by constraining the body. Objects, props and costumes become an extension of the body, and authenticity outshines expertise. Linked to Put your heart under your feet… and walk! 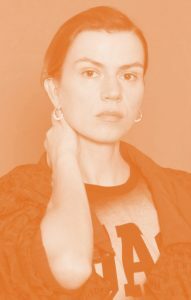 Breaking with Polish theatrical traditions, Anna Karasińska is a driving force in contemporary theatre or, as some of her compatriots put it, “a virus in Polish theatre”. Her work draws on visual art, philosophical research, movement and festive celebration. She will share her unique approach to acting, devoid of any authoritarian structure, the goal being to cultivate freedom of the body and meticulously observe the world, thereby enhancing the spectator’s experience of theatre.